In the course of our lifetime, each of us develops relationships with others which take on special meaning to us. They may be parents, other family members, friends, teachers, even our pets. In a variety of ways through nurturing and challenging us, they help us become who we are. In time, each of us also experiences the death of someone we love. Whether this loss occurs as a result of illness, accident, or other trauma, we are left with a mixture of thoughts and feelings. We deeply sense their absence. The following suggestions are offered to assist us in understanding the constructive process of grief and the importance of remembering our loved one. Grief is a natural and universal experience. Each of us, however, experiences loss in ways which are characteristic to our upbringing and personalities. While common elements exist in the bereavement process, there are no fixed formulas or schedules to which we must conform. Accepting yourself is an important step toward a healthy grief process. Following the loss of a loved one, a range of emotions may be experienced. These feelings include sadness, fear, despair, confusion, anger, guilt, and even a sense of numbness. These emotions may be felt in varying degrees of intensity and over differing periods of time. Things we do, say, hear or see may trigger memories and feelings associated with our loss. Family celebrations, holidays, favorite places, songs, and experiences which were formerly shared with the loved one may remind us of our suffering. In the midst of our grieving, it is normal for us to wonder if our sorrow will ever subside. In time the memories of our loved one will remain, but the intensity of our strongest emotions is moderated. Even so, it is important to remember that over the years we do not forget the person. It may be helpful to think of your bereavement as a cycle in which periodically you are reminded of and feel the loss. Following the death of a significant other, you may feel quite different. You may be physically fatigued, have difficulty with your usual sleep pattern, experience an inability to concentrate for long periods, and lose some of your normal appetite. You may also find that your interest in work, play and social activities diminishes somewhat. Activities and people you usually enjoy may seem to hold less attraction. During this period, some persons increase their involvement in work related and social activities in order to preoccupy their mind and energy and avoid some of the uncomfortable feelings associated with loss. It is important to value and maintain connections with others and engage in a healthy balance through work, leisure, and rest. Plan to participate in some form of relaxation and physical activity like walking, perhaps in the company of another person. If significant changes which affect your ability to function on a daily basis persist, this may be a cue to see a professional for consultation and specialized assistance. Try to establish reasonable expectations about your ability and energy. Guard against taking on new projects too soon. Remember that bereavement with its differing levels of intensity is a natural and essential process for remembering the loved one. Rituals can help us recall the positive dimensions of our relationship and connect us with community. Activities like journal writing, meditation, prayer, walking, singing, and visiting places formerly shared with the loved one can be creative outlets for your thoughts and feelings. They may also help remind us of the value of life itself. Remind yourself of goals you have set for yourself. Remember the ways your loved one contributed to helping you develop and achieve your potentials. Imagine a future for yourself and ways you wish to contribute to others. Seek to remind yourself in a variety of ways that your life has meaning. If you practice a religion or form of spirituality, utilize its symbols, activities, and community to comfort and provide perspective. Share your thoughts and feelings with others. Allow them to be with you during this very important part of life. Be open to surprises. Try to remain physically active and sensitive to the beauty of life around you. Envision the love you felt for the person lost will survive as a foundation for a creative future. Communicate your concern for the other person. Initiate conversation; don’t wait for the perfect time. Be available. On a routine basis make contact. Listen and be willing to talk about the loss. Avoid making judgments. Persons have different ways of experiencing and expressing their grief. Acknowledge the difficulties in having easy answers to the hard questions about life and death. Affirm the appropriateness of questions and encourage conversation. 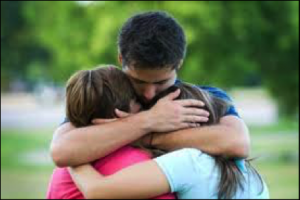 Reaffirm the grieving person’s role in your life. Remind him or her of their value and the meaning to their life. Be sensitive to the cyclic nature of the grief process. Like waves on the ocean, grief cycles through surges of distress and times of gentle motion. Help the person develop balance in their life. Invite the person to outings and activities which help promote a healthy balance among work, leisure, and rest.